Celebrate Columbus Day with CanadaVetExpress, who is giving massive discount on the branded products. You can utilize this big savings opportunity to buy your favorite brands of pet supply. This organization is dedicating the Columbus day to honor our country by doing something different and helping pet parents to offer great health treatments to their pets. 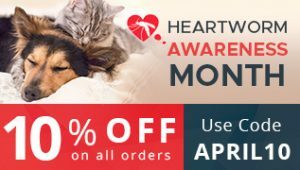 On 10th that is second Monday of October, you can take the full opportunity of this sale to purchase pet care supplies. CanadaVetExpress is flourishing online pet care store offering affordable pet products. This company offer top branded supplies at cost-effective prices. It provides huge variety of pet care products with unmatchable discount sales and incomparable customer services. The reasons that have made CanadaVetExpress a trustable and reliable online pet care store is the availability of the best brands at discounted prices, timely delivery and lots of offers. The shelves of CanadaVetExpress are always full with best supplies for puppies, dogs, kittens, cats and birds. We have wide range of products that are Flea and Tick control, Wormer, Heartworm control, Joint Care and Arthritis, Wound Repair, Eye & Ear supplies, Nutrition and Pet Vitamins. So, don’t miss the golden chance to grab this offer, where best brands of pet supplies are sold at discounted rates on this store. Visit CanadaVetExpress store online and purchase en-number of branded pet care supplies and stock up the products to keep your lovable companion healthy and let them live a long life. You can even ask your friends, relatives and neighbors to enjoy a huge cut off on their pet care budget by buying the product from here for their pet. You can use this Coupon Code : CEXPCL15 and get huge discount on all pet supplies.